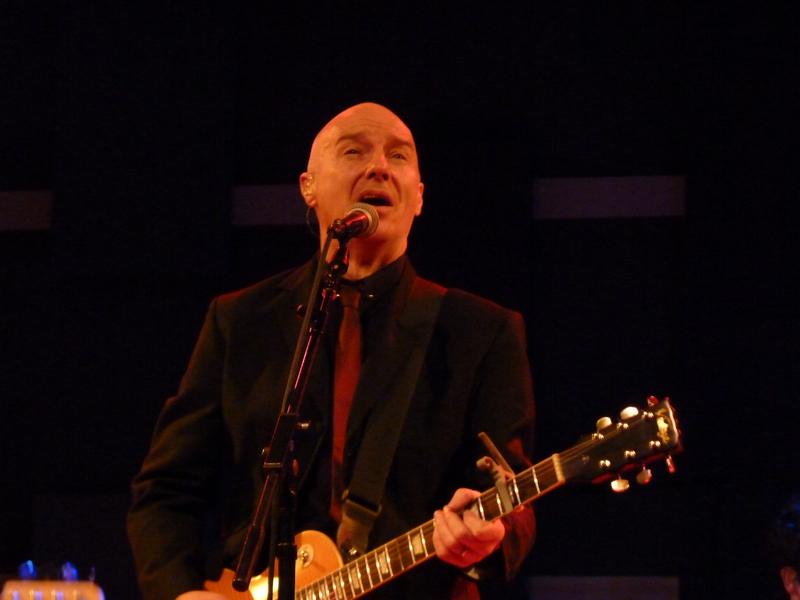 Since the 1970’s Midge Ure has been mucking about the music scene in the UK, dabbling in everything from pop to glam rock, punk and eventually hitting his nitch in the new wave scene. He hit the peaks of success after joining established band Ultravox, where he swiftly handled their transition from experimental electronics to a more commercially appealing new wave sound. Taking them as far as any band could go, he branched off to more success by launching a popular solo career (mainly in the UK) that carried him well into the 90’s. 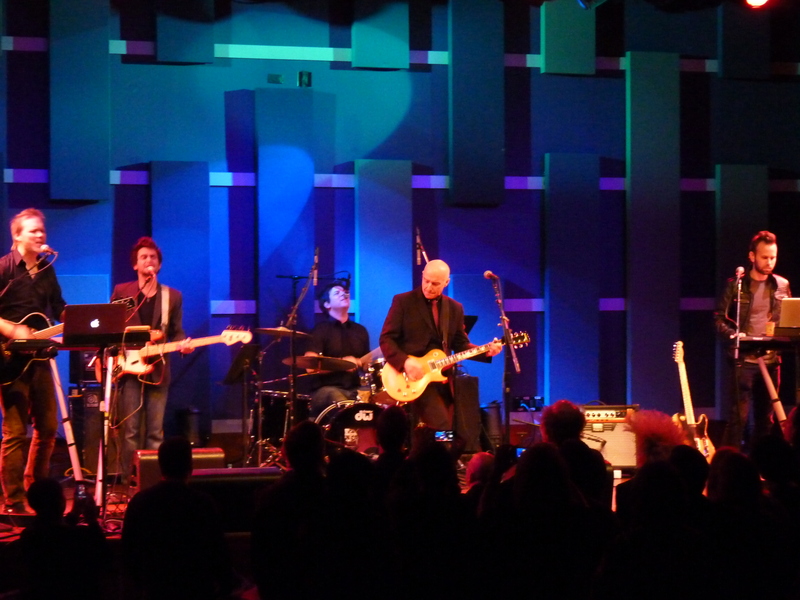 With a rumored Ultravox world tour gaining momentum this year, it’s only fitting that Midge Ure help to lay the groundwork for such a reunion with a visit to the US for a solo tour, making a stop at one of the greatest music venues around, World Cafe Live. Opening the night on a low-key note was Los Angeles, California’s Right the Stars, a band described by their website as “Paul Simon meets Keane backstage at a Phoenix concert.” The description couldn’t have been more accurate, as they delivered a slightly restless and uneven set. It felt like a rotation between the time signatures that the three previously referenced acts often work within. Slow and sleepy tunes worthy of Paul Simon such as “Train to Glasgow,” paired up with the gentler pop rock of Keane in choices like “Give It All,” meeting at the Phoenix concert in tunes like “Best Days of Our Lives” and “We Got It All.” And yet, even though it was a bit hard to get into, the set stayed strangely cohesive. They were definitely a talented band that played a tight set, just one that is not really my style. One of the more notable moments of the night occurred relatively early on. As Ure was having the usual musician’s banter with the crowd, he chose to embrace a moment of honesty about his vocals. For the majority of his career, Ure was well-known for his vocal strength, delivering consistently passionate performances that ventured into the higher registers with ease. However, 20-plus years of performing can do a lot of damage to vocal chords, even in the best of singers. There aren’t many artists that can humorously address a slightly diminishing vocal capacity, but thankfully Midge was one of them. As he stated, when one gets older it becomes harder to hit certain pitches, “so if you see tears rolling down my face at times, then you know why.” Although it drew a lot of laughs, there wasn’t much of a reason to warn the crowd, although it was an obvious preemptive strike on his part. 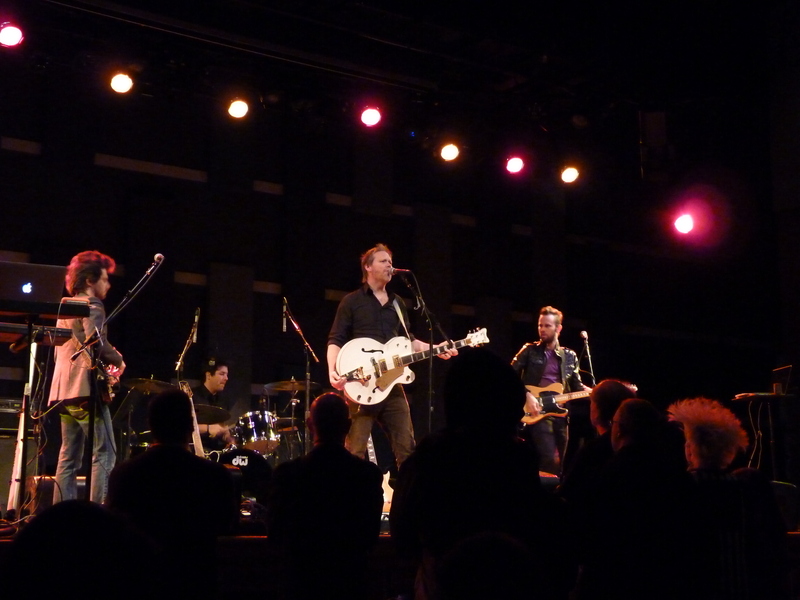 Over the course of the evening, he did visibly stain on a few key Ultravox and solo hits such as “Dancing With Tears in My Eyes,” “Vienna” and “If I Was,” songs that in the past relied heavily on his seamless ability to sing lower notes which quickly swung into the highs. But it didn’t really matter, as his 59-year-old voice still carried enough power and enthusiasm to carry the music well past the tears of struggle he warned of earlier in the evening. In fact, his grittier voice added an unexpected depth to many of his set choices, in particular 1982’s “Fade to Grey” (written as part of Visage). It added a more soulful atmosphere to what once was a robotic minimal new wave tune. When it came time for an encore, Ure chose to close the show on a somewhat unexpected note by playing an acoustic version of his ultra-cheesy 1984 Live Aid composition “Do They Know It’s Christmas?” Thankfully, the paired down cover lost all of its shiny 80s luster and became a more heartfelt, personal tune. It was a song that he basically had to play. discussion. It is a result of the fire displayed in the article I read. you if you don’t mind. Could it be just me or do some of the responses look like they are written by brain dead people? 😛 And, if you are posting on additional online social sites, I would like to follow you. Would you list all of your social pages like your linkedin profile, Facebook page or twitter feed?